Defending champs Nadi made a grand start to their title defence with a 4-0 thumping of Nadroga in their first pool match at Govind Park. 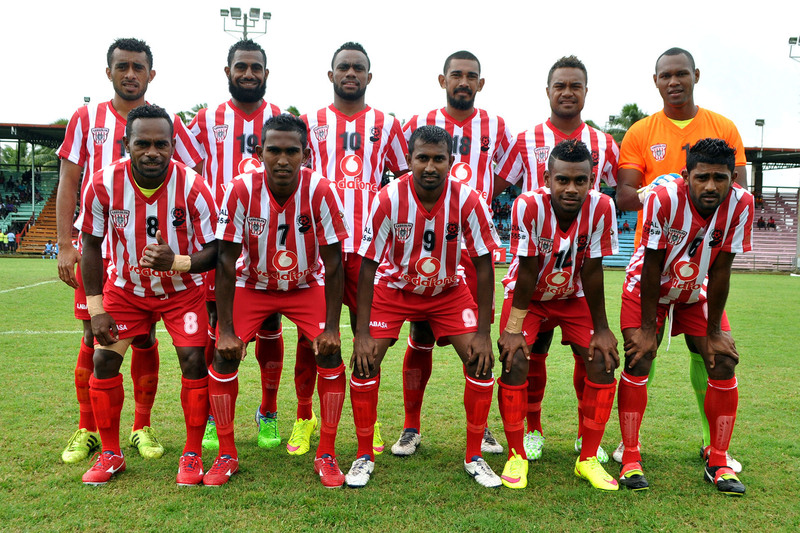 Host Ba and Lautoka played out a 5-goal thriller with no dull moments in the game. The ‘Men in Black’ fought back to prevail in the end thanks to a double to Abu Zahid, and a goal to Shameel Rao and for the Blues Kelvin Naidu and Peni Finau scored. At Ratu Cakobau Park in Nausori, Labasa fought till the final whistle to beat Tailevu Naitasiri 2-0 in the Group A fixture. A double from midfielder Edwin Sahayam in 3minutes towards the end gave the Northpole Hotel & Rentals Labasa side a win. Tailevu Naitasiri played a grand game but lost concentration in last quarter of the match. In the second match arch rivals Rewa and Suva entertained the 2000 plus crowd with more structured football. The Delta Tigers came from behind to beat Suva 2-1. Suva’s Sekeraia Naisua scored the opener in the 20th minute while Rewa’ Savenaca Nakalevu equalised in the 40th minute via a header. Former Tailevu Naitasiri striker Rohil Ram who made his debut for the Delta Tigers scored the winner in the 80th minute. On Thursday Tailevu Naitasiri will play Suva at 12.30pm,Ba will take on Nadroga at 2.30 followed by official opening at 4.45 pm and then Rewa will face Labasa at 5.30pm while arch rivals Nadi and Lautoka will feature in the last match of Day two at .30pm at Prince Charles Park in Nadi.